It has been a very long time since I last posted anything on this blog. Things have changed in our life but Montessori still prevails. On a schooling front, all three are back in various schools now for a variety of individual reasons, some of which were mine, many were theirs, however, one reason is that I decided to go back to school myself and this, in itself, is proving an adventure with many paths that are converging. It's incredibly exciting but over the next year or three I shall be studying to become a midwife and working on a project with a team of Montessorians in Brighton to prepare a Montessori antenatal curriculum. This is to realise a vision that they and I have that Montessori education is less encased in the parameters set out by the word education and more a way of life. As this blog has already demonstrated, there is so much of Montessori's learnings and observations that need to exist in the home in order for there to be continuity and security in a child's life if that Montessori education is the family choice. However, perhaps there is more still. Montessori talks in her book "The Absorbent Mind" about the newborn having a mental life that must exist embryonically, therefore, if this is the case, how much do babies remember about their birth or life in the womb and what is the connection between babies who are perhaps upset in this existence womb side and their early life during the extrogestational period. It is easy to observe a baby earthside and take responsibility for their development and stimulation, but how many people, honestly and truly, take as much responsibility as to their birth experience from their baby's perspective? How many women, hand on heart, irrevocably trust their bodies and their babies the first time they have a baby? Well, the statistics are not in favour and I for one, was a number within those stats. It is not just Montessori who speaks of this; similar writings on this subject can be found in work by Rudolph Steiner and Emi Pikler. I think we would be arrogant to say that we understand how life really starts and what external sources or choices are made, cosmically even, to define our destinies. If a child initiates birth, perhaps the spirit of the child initiates conception, why did that particular gamete reach that particular egg? All through life we have the opportunity to initiate events that may seem mysterious to us. We trust our bodies to tell us when we are hungry, when we need to urinate or defecate, when we need to rest or drink water and we trust our hearts to beat every day. Amazingly, we put our trust into the organs that work these systems in our bodies, yet we don't trust our bodies to birth and put all our faith into technology and hospitals (92% of babies are currently born in hospital in the UK). Through doing this, are we setting up the perfect environments for our babies to be born? I could talk about this for hours and for fear of sounding like a homebirth radical with a disregard for hospital as being a safe place for babies to be born (which I am not), or an anti-c-section nutcase (which equally, I am not) I will not digress further. 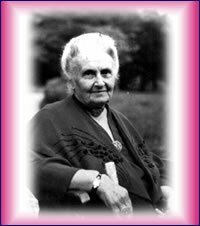 So, the idea of Montessori style prenatal education is a logical beginning in my opinion. Perhaps the idea of the prepared prenatal period should bear as much relevance as the prepared environment? So, I hope that this blog will become more active again over the next few months as we start to develop this programme. I hope that we can create and inspiring and helpful programme that will encourage more families to make the same conscious decisions they make postnatally, in the antenatal and maybe even conception period. So please, bear with me and stick around. Good for you! What an amazing adventure, enjoy! What a great idea. I will eagerly be waiting for more posts on this subject!